An industry-wide demand for new pilots continues unabated, with shortages impacting even flight schools that are on the lookout for instructors. There are an estimated 36,000 registered aircraft in Canada (both fixed-wing and rotary), that are calling for crews. The 2017 Boeing & Technician Outlook, a respected industry forecast of personnel demand, projects that North America will need 117,000 new pilots over the next 20 years, to support industry growth. That is for commercial aviation alone and doesn’t include backfilling positions of retiring pilots heading for the exits. 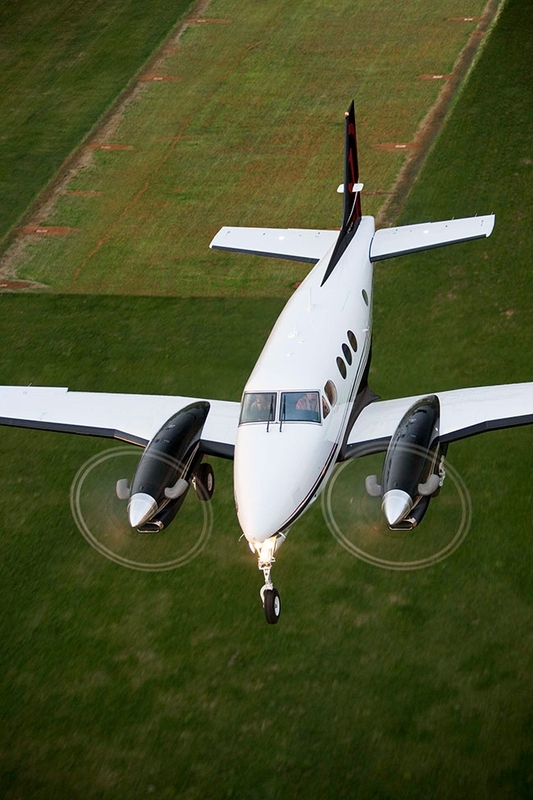 Transport Canada estimates there are over 800 “on-demand” aviation service providers such as charter operators, law enforcement and emergency medical services, and helicopters supporting Canada’s resources industry and a growing demand for rotary business aircraft. Approximately 26 per cent of Canada’s business aviation fleet are helicopters. The Jazz Aviation Pathways Program, for example, has agreements with 15 aviation colleges, flight schools and universities across Canada, including Seneca College, to create a streamlined career path for pilots. Jazz is Canada’s third largest airline. Third-year Seneca Bachelor of Aviation Technology students are eligible for the Jazz cadet program that includes direct entry into the airline’s hiring pool. It is all about giving low-time pilot graduates a ticket to develop their skills and enter the cockpit. Earlier this year, Air Georgian – with bases in Calgary and Toronto – launched SOAR – Sharing Opportunities for Advancement and Reward – mentorship program in partnership with Ottawa Aviation Services (OAS), a flight school. Flight instructors are given the opportunity for employment at Air Georgian. Air Georgian recently added Ornge, Ontario’s air ambulance operator with its fleet of fixed wing and rotary aircraft, to the SOAR operator partnerships. The partnership provides a career pathway for pilots at Ornge to become first officers with Air Georgian. Watch programs like Jazz Aviation Pathways and SOAR grow as operators look to fill cockpit seats and flight schools look for incentives to attract qualified instructors. Flight schools sign a small number of graduates as instructors. It is a stepping stone where recruits build up necessary hours. An increased demand for pilots, especially at the regional level, means that the turnover of instructors is higher; a good opportunity for students entering the industry. Other entry-level opportunities to build up hours include air taxi operator or general aviation pilot. Canada’s thriving corporate aviation sector should not be overlooked. Business aviation accounts for five per cent of registered airplanes in Canada, about 50 per cent of the fleet based in Ontario and Alberta. Modern corporate jets are every bit as sophisticated as today’s airlines, and the requirements to fly these airplanes is often equivalent and sometimes greater than what is required in the airline business. Canada also has the second largest fleet of helicopters in the world. The backbone of the sector remains resource-based, although opportunities in the executive sector are available around major urban centres. Boeing notes that regional markets that have relied heavily on recruiting pilots from outside their home locations are increasingly seeking to recruit, train and develop locally sourced pilots. Local aviation and aerospace expos such as the Wings and Helicopters Careers in Aviation Expos – this year in Toronto and Edmonton – certain help in this regard. In Ontario, Ready Set Fly (RSF) is a not-for-profit organization specializing in educating high school students about aviation careers, including highlighting the skills and education needed to achieve a specific career. RSF is building an industry network to connect students and aviation organizations. If you have little or no aviation experience, selecting a flying school can be overwhelming and is best not done on impulse. Many questions go into selecting a flight school, beginning with identifying your flight goals. What province do you want to learn in, the type of airplane you want to learn on (fixed-wing, dual engine, helicopter, turbine engine) and whether you prefer to train full-time or part-time. Learning to fly is time consuming and expensive. Students who train part-time typically do so to build flying lessons into a busy schedule that often includes a job, or to spread the cost over a longer period. Depending on the length of break between lessons, part-time will cost more because the student often has to relearn lessons. For those planning a career in aviation, full-time lessons are recommended. There are two parts to learning how to fly; flight training and ground school. Ground school is classroom instruction where students learn the principles of flight, pilot decision-making, navigation and prepare for the written examination. Many flight schools offer ground school courses online. Transport Canada requires 40 hours of ground school instruction for a commercial pilot licence, so a flight schools approach to classroom instruction should not be overlooked. Transport Canada has an online Flight Training Units Search tool to help find schools that offer the precise type of training a student is looking for. The search page includes drop-down menus that allow potential students to specific the type of training and type of aircraft to be used in training. Canada’s aviation regulator does not rank flight schools or flying colleges, so an online search should be considered a starting point. Industry professionals agree that when picking the right flight school or graduating up to a flight college (see separate article), be prepared to ask a lot of questions. Don’t be timid. For example, ask about the number of hours it takes for students to complete a course. This number may vary from instructor to instructor. Don’t be afraid to walk away if a flight school does not answer all your questions. What about the accessibility of the instructors, the number and types of training aircraft available and the quality of maintenance? An unwritten industry rule is one training aircraft for every four or five full-time students, although that ratio changes with part-timers. Training aircraft clock a lot of hours and are put through tough paces. Maintenance is an important consideration for both safety and scheduling.